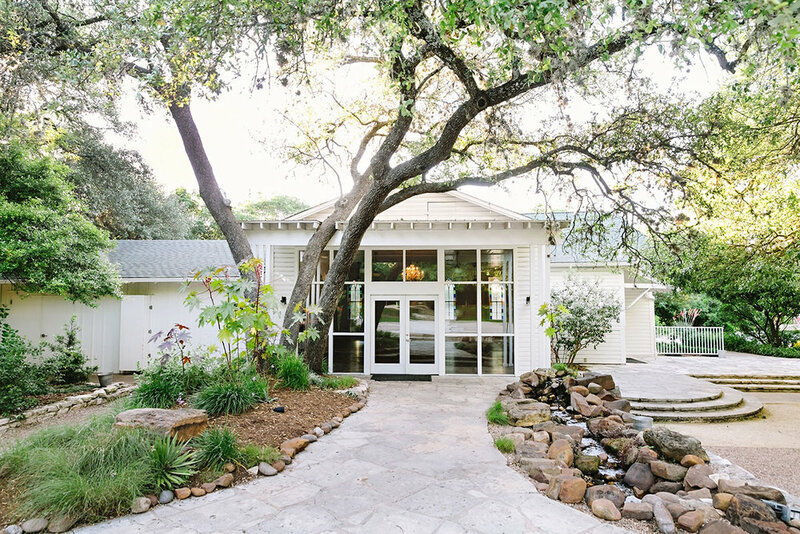 Mercury Hall is a popular wedding and event venue in central south Austin. The main structure is a century-old church that was transplanted from Mercury, Texas in 1997. It sits on 2.94 landscaped acres about 1 mile south of downtown. We purchased the adjacent residential property, adding fifty feet of frontage on South First Street and .85 acres. The residence was re-zoned for commercial use. The Hall was renovated shortly after we purchased it in 2005, with expanded kitchen and restroom facilities. We added a large window to visually connect the inside with the landscaped grounds.